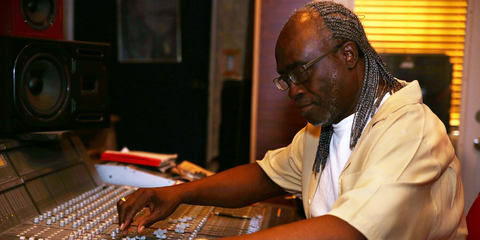 Michael Dumas is one of those rare engineers who are world-class both in the recording studio and FOH. By the time Michael was 25, he already owned an outfit called Mad Dog Studios – and one of his first clients was Robby Krieger. 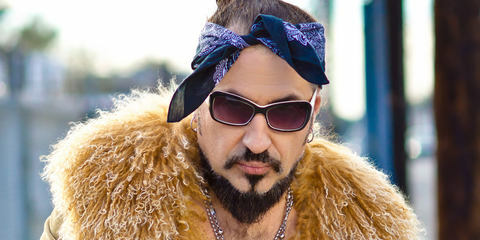 Furthermore, Michael toured with Dwight Yoakam as well as worked with him on his records for around 17 years, and he also mixed Shania Twain’s Come On Over tour. In 2006, Michael decided to leave Mad Dog Studios to opened up a 13,000 square foot facility in Hollywood called Radio Recorders. This studio welcomed many great projects and clients including Natalie Cole, Dwight Yoakam, Lil Jon, Xzibit, and Annie Lennox. In 2013, Michael Dumas teamed up with Robby Krieger to design and build Horse Latitudes Recording Studios in Glendale, Los Angeles. Horse Latitudes is well equipped, with a choice selection of amps and instruments – or “tools,” as Robby Krieger and Michael Dumas prefer to call them. They have a large tracking control room with a 40-channel vintage API console in it, big iso booths, large tracking rooms, and high ceilings. 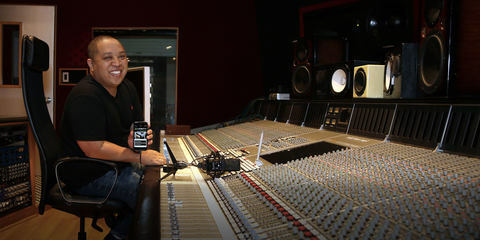 For their mix room, they bought a console out of Westlake Studios – Studio D, the Michael Jackson room – which is a 60-channel Neve. And since January, they’ve also had an LCT 640 TS at Horse Latitudes Studio. 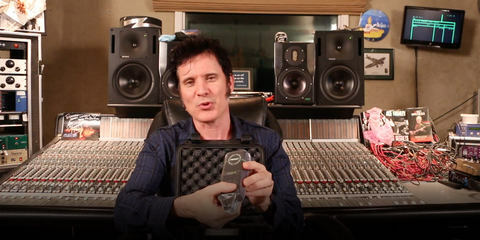 The mic was delivered personally to Robby Krieger by its creator, Moritz Lochner. We caught up with Michael to find out about his experiences with the LCT 640 TS. [LEWITT] You’ve recently been testing the LCT 640 TS at Horse Latitudes Studio. 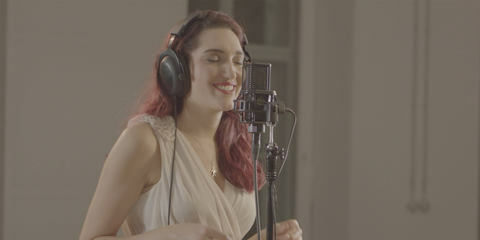 What do you think about this mic, and about how it allows you to change the polar pattern in postproduction? [Michael Dumas] I’ve found myself using that mic on just about everything I do. The first things I recorded with the LCT 640 TS were vocals: we did an A/B with a Sony C800 G, and the LEWITT actually compared very well to the Sony, which is a $10,000 piece of equipment. We actually even preferred the LEWITT’s sound over that of the Sony. So it won the shootout against the Sony C800 G.
[LEWITT] What do you like about the LCT 640 TS? 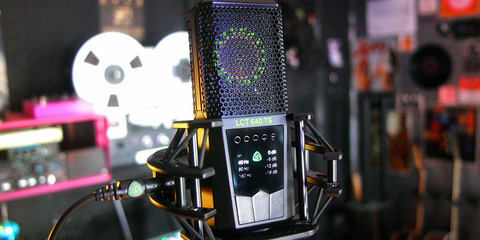 [Michael Dumas] The LCT 640 TS has a very pronounced, tight bottom end, and it also has a very good top end with air on it, which is something that a lot of tube mics have. 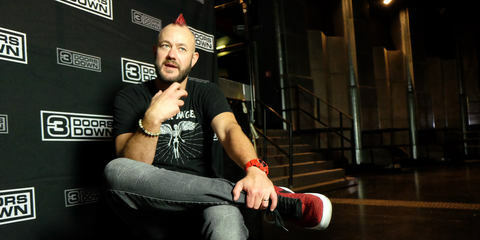 To say it’s just a great vocal mic would be an understatement, though, because while it does work great on vocals, it also works great on drums. We used it in Dual Output Mode and recorded drum overheads in MS stereo, where I got very good response from using that mic. The isolation between the left and the right side of the capsule and the overall frequency response of what the microphone picks up is exceptional. I also used it on acoustic guitar, where I’d used a AKG C12 before, and the LCT 640 TS actually carried the low-mids and the top-mids a lot better on acoustic guitar than the C12 did. 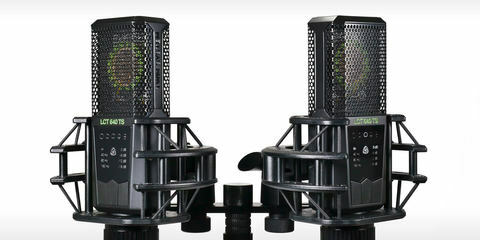 It’s a much better tool – and if anyone’s thinking of getting one of these mics: buy two! They’re affordable and worth every penny! [LEWITT] When you used the LCT 640 TS in Dual Output Mode to record overheads, did you try out the Polarizer plug-in? [Michael Dumas] Absolutely! The Polarizer plug-in allows you to switch between polar patterns after the fact, which is an absolutely incredible feature! Being able to record the drum overheads in MS stereo and play around with the polar pattern afterwards is fantastic. When I switched from figure-8 to hypercardioid, it lets me figure out the difference between those polar patterns and what they could add to my overheads – so it’s an absolutely invaluable tool! [Michael Dumas] Using this microphone is unique since you can change the polar pattern after the fact with the Polarizer plug-in. As a teaching tool, it’s invaluable to go and record something and then bring it back in and have your students listening to what omni would sound like, what supercardioid would sound like, or what figure-8 would sound like, because they sound so different. At the same time, they’re also expressive tools that we, as engineers, use in many different recording scenarios. I’d use an omni mic or a figure-8 for a lot of different things. 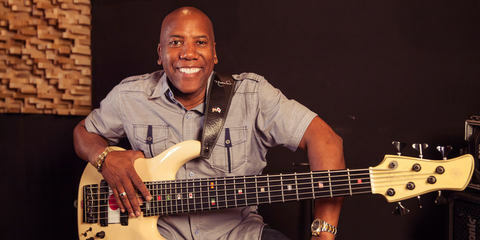 It’s something I’ve learned how to use to my advantage over 30 years of experience with recording. [Michael Dumas] I’m very pleased with the products from LEWITT. I’ve known about them for a few years, and I’m excited to be working with them. 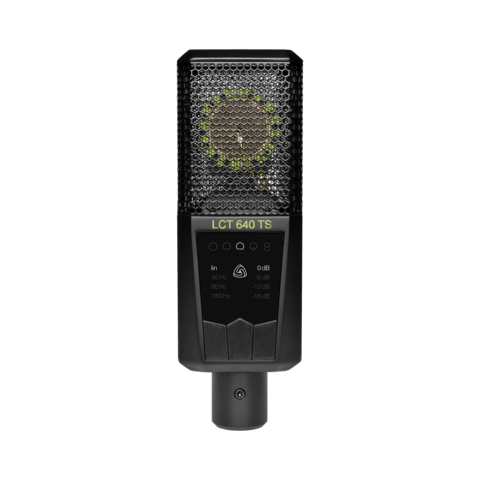 Like right now, reviewing and playing around with the LCT 640 TS – it is an absolutely wonderful microphone, and I’m looking forward to trying out many, many more LEWITT mics.